Before you connect, determine the size of your seat(that is, the distance from the launch port to the wall), and determine whether the product you purchased, accessories, and instructions are complete. Read the instructions carefully and understand some product items. 1, the lower water mouth requires the installation of workers to handle the level, the bottom exit of the toilet should be equipped with a special flange for the toilet, or the application of glass glue to the lower water mouth is uniform, the bottom of the toilet, and the surrounding glue, the seat toilet and the wall The gap is uniform, well-placed, and stable. 2, after the seat toilet is in place, it requires no leakage from the water, the water level is correct, the washing is smooth, the switch is flexible, and the cover is stable. 3, nowadays, the toilet connection is generally not equipped with floor screws, but use glass glue to block the reserved holes on the toilet to prevent the taste. 4, if you need to install the foot screw, first use the special sealant connected by the toilet, evenly applied at the outer 2CM of the drain port of the toilet base, and the drain port of the toilet should be facing the central position of the drainage pipe. Draw the position of the expansion bolt on the left and right sides of the toilet. Take the toilet seat, punch the hole, and bury the plug. Note that the newly punched expansion bolt pre-buried in the hole may break the waterproof layer. It is recommended to pre-bury the expansion screw. At the same time, insert a sealant around the hole. Then bury the bulging bolt, first twist the bulging bolt, let the bulging bolt be completely released, reinforce its pull force, then unscrew the upper screw, put the toilet, and then screw the screw directly, cap, and keep the overall appearance. Toilet pan connectors are a simple but crucial part of your overall hygiene system. Choosing the right toilet connector will ensure a smooth flush every time and a reduced need to remove blockages. Our toilet connectors are designed to work in perfect union with our other toilet systems and are easy to install. The materials used are modern, tough and capable of handling anything. 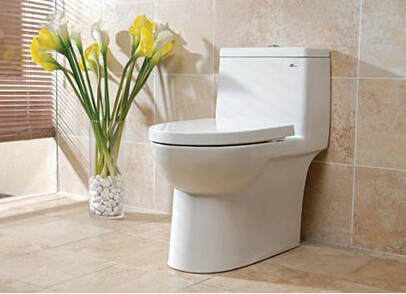 You can rest assured that your toilet will remain in full working order for years to come.